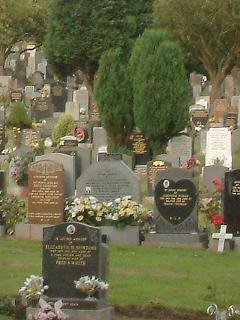 Occupying the western half of Balgay Hill in NW Dundee, Balgay Cemetery lies 2 miles (3 km) west northwest of the city centre. Land was acquired by Dundee Corporation from the Scott family to form a public park covering the eastern section of the hill and a much-needed new municipal cemetery in the west. The cemetery was laid out such that the natural landscape of the hill was retained and it was opened (along with the park) by the Earl Of Dalhousie on 20th September 1871. Known initially as the Western Necropolis, its name was later changed to avoid confusion with the Western Cemetery on the Perth Road. It was extended to the southwest in the 1970s, abutting Glamis Road, but all of the plots were allocated by the late 1980s and a new cemetery opened at Birkhill in 1989.